I hope everyone is enjoying their Memorial Day! 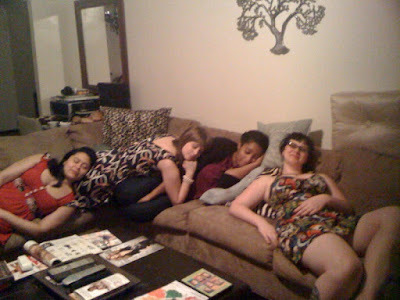 This Sleepy Monday post is dedicated to my girls..... Thank you all for gathering and making Sunday Brunch one of the best I've been to in awhile. Ok, that's seriously the best picture EVER.